Investing in high quality industrial doors is the most effective way to enhance security at your commercial premises, and choosing the right door is essential to ensure that your building is secure and well-insulated. Safeguard Glass supply and fit a range of industrial doors. Steel doors offer a strong visual deterrent to potential vandals or intruders, and are tough enough to withstand the elements whilst also keeping out excess noise and reducing heat loss. 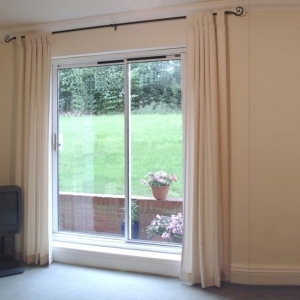 These can be installed as part of a new build or as an addition to an existing property. Add security barriers to both doors and windows our barrier installation are designed as a highly effective way to maintain safety and security at your home or business premises, and by supplying barriers from Crimeshield – the market leaders in security barriers – we provide you with the peace of mind that you are investing in a quality product. 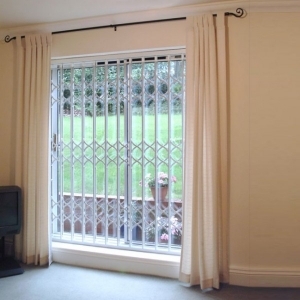 Choose from retractable security gates for external doors, fixed barriers for windows or large expanses of glass, or sliding security barriers for windows – all of which can be fitted to the highest standards by our expert team.